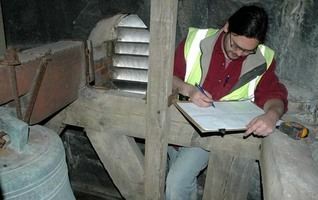 Measured building surveys are carried out using a combination of modern non-contact techniques, such as reflectorless EDM and laser distance meters, together with more traditional taped measurements and field book sketches. Digital photography is utilised for building facades which, combined with image rectification software, can achieve a very high degree of detail if required. Before undertaking a measured building survey the client is consulted to establish the final use of the survey and the required level of detail. This ensures that the survey is completed economically and that the client only pays for work that is required for their project. Measured building surveys typically result in the production of floor plans, architectural elevations, building cross sections and underground drainage layouts.